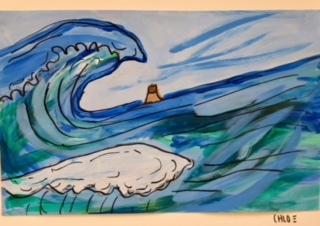 My 4th Graders did a great job with The Great Wave. 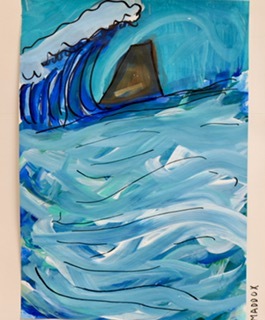 They really enjoyed mixing paint and making tints of the blues and the greens. 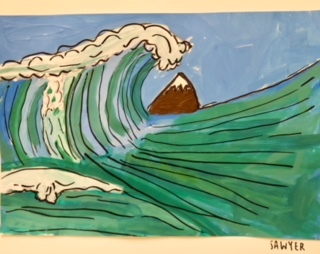 The kids really do like using acrylic paint. They know that it is big stuff. 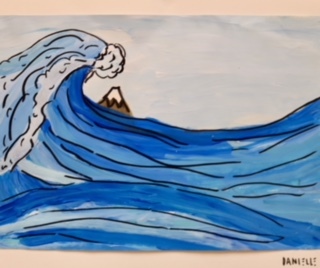 We watched the video below and learned a little about Hokusai. 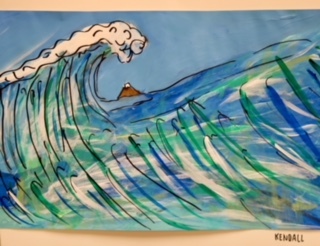 Then, we watched the video below to get an idea on how to outline the wave and fill in with acrylic paint. 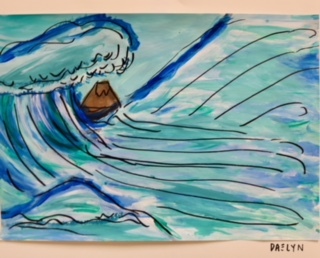 I provided the kids with a copy of Hokusai's Wave to use as a reference. They went back over with sharpie to define the waves. 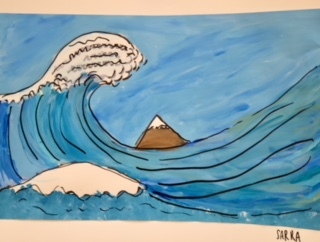 To see a previous post about Hokusai's Wave, Click HERE. 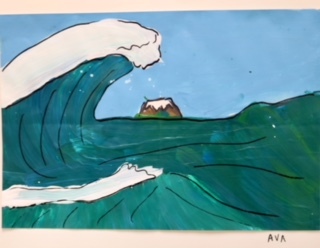 Good project for 4th grade. Give it a whirl! You cannot go wrong with Eddie Vedder and Pearl Jam. 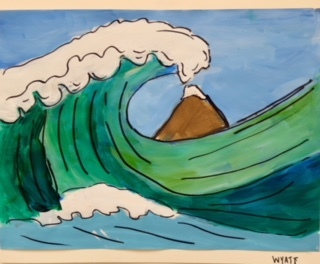 Here is "Amongst the Waves". These look Great! 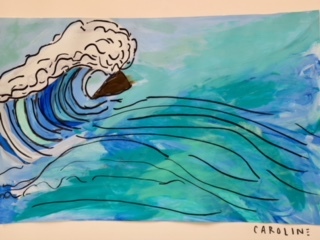 Lots of movement in their waves. Thanks so much, Mary! I will pass you thoughts on to my kiddos!